Click the button below to add the Call of Cthulhu 7th Edition (Hardcover) Slipcase Set to your wish list. together in a single awesome slipcase set! Keeper Rulebook (Hardcover): containing the core rules, background, guidance, spells, and monsters of the game. It is intended for use by the Keeper of Arcane Lore (the Keeper) — that player who will present the adventure to the other players. You must have at least one copy of this book to play Call of Cthulhu. The other players, the Investigators, should have one or more copies of the Investigator Handbook, containing expanded rules for character creation, skills, occupations, equipment, and more. Get more details here. Investigator Handbook (Hardcover): Expanded rules for creating players characters, a wealth of over 100 occupations and skill descriptions, as well as guidance on getting the most from the game. What’s more, there’s a range of organizations for your investigator to belong to, detailed information about the classic 1920s setting, equipment and weapons for both the 1920s and modern day, and expert tips and advice for all budding investigators. Get more details here. Call of Cthulhu Keeper Screen Pack: an essential play aid for those running games of Call of Cthulhu 7th edition. Our Keeper Screen is mounted on thick hardcover stock, folding out to 34 inches wide. One side, intended to face the players, portrays glorious artwork. The rear of the screen, the Keeper’s side, collects and summarizes important rules, statistics and charts, to assist the Keeper when running games. Get more details here. if you add Call of Cthulhu 7th Edition Slipcase Set to your cart, the Call of Cthulhu Keeper Rulebook PDF, the Call of Cthulhu Investigator Handbook PDF, and the Call of Cthulhu Keeper Screen Pack PDF are available for free! You should add the PDFs to your shopping cart after you add the Slipcase Set in order receive your FREE PDFs. 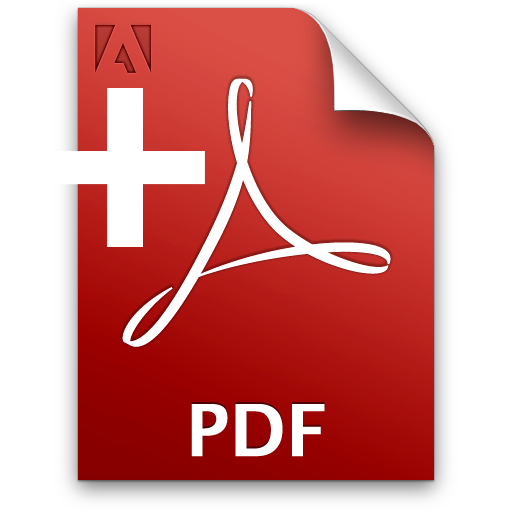 Please check your shopping cart for a link to the PDFs before beginning the check out process. Best quality tabletop rpg books! These are the best quality books for a tabletop rpg I've ever seen, and that's saying something cause I have a big collection of them. These books are sturdy, they dont collect fingerprints, they are formatted excellently and have 3verything you need to start the game and more! They have the keepers book, investigators handbook, the keeper screen, as well as 2 starter adventures, several maps, and 6 character sheets so you dont have to print some right away. This slipcase set is very much worth what you pay! Well done chaosium! Behold the Austere Absolute Beauty of the Slipcase!! Absolutely phenomenal introduction for a new Keeper to Call of Cthulhu. The materials given are of the absolute best quality, brilliantly bound with gorgeous full-color artwork that completely oozes in Lovecraft tone and theme. Having only ever played Call of Cthulhu, I was eager to learn more about the rules and run my own games. The Slipcase set has provided me with a one shop stop, with all of the rules clearly laid out in the keeper's book, with a plethora of spells, monsters, scenarios, and tips on how to run the game. As a GM of other tabletop RPGs, I was worried that the keeper's book would not include things like monsters/feats/spells etc. and that I would need to purchase additional books and materials but oh Nyarlathotep was I wrong! Not only do they have just about every monster/god you could possibly ever need to use in your game but it also includes wonderful sketches, great descriptions, and story hooks for the monsters as well as quotes from Lovecraft himself to really bring the baddies out of the page and into you and your player's heads. Likewise, the Investigators book is filled with every possible choice/option you could need for your players. Finally, the keeper's screen is very sturdy and has a bunch of useful looking reference tables as well as truly phenomenal artwork. As if it wasn't enough value, the screen also came with poster maps and 2 scenarios to run as an added bonus! In short - Have I mentioned just how amazing the artwork is in these books? Whatever they are paying their artists - it's not enough. Sure, you can get a digital version of all of the components but believe me, there is nothing quite like holding these books in your hand whilst running the game and seeing and sharing the beautiful images in it. Pick up this slipcase set whilst it is still around as its an absolute steal!! I would say this is a must-have for any new keeper and even if you have all of the components already, I'd go so far as to consider selling them off and using the funds to pick up this truly gorgeous slipcase set. There's nothing quite like it on my gaming shelf and I couldn't be happier with it! 5 Stars, A+, 10/10, 2 thumbs up, would buy again, would recommend to a friend! I've always been a fan of Call of Cthulhu and after seeing there was a new 7th edition I decided to pick up the new version. I decided on getting the box set version and it was well worth the money, the quality of the product is great and it was handled with the utmost care with no wear or tear in the mail. The product also arrived very quickly and I was shocked at how quickly it did arrive since I am used to everything taking ages to get to me in my neck of the woods. But the best thing about this pack is that you get the .pdf's as well as the physical books which is great and is why when I want any Cthulhu books I get them straight from Chaosium because of the value for your money and the quality of the product. So if you are interested in playing Cthulhu for the first time or are a fan of the Call of Cthulhu system then consider picking up this value box set, I've had great fun with this and met many new friends of Roll20 because of Cthulhu 7th edition. These high quality hardcover books and 7th Edition system is ultimately the best system ever created for modern settings. Happy with the purchase and timely delivery in UK. This is a beautiful product well worth the money for Keepers (and players!) who want the entire collection at their fingertips. The binding, layout and full color art are amazing. Each book has it's sweet spot making them must haves. The Keeper Screen is just a great Keeper reference with a wonderful full length investigator exploration artwork which really sets the mood, and two more great scenarios (Blackwater Creek and Missed Dues) which will bring many hours of fun to your players. A great set for players and collectors. The entire package is beautifully done and the art and quality of everything is fantastic. My group has been playing Call of Cthulhu using the free quick start guide and some old books for reference. However, it quickly became obvious that this system and setting has hooked them all completely. So I stumped up for the slipcase set, and by the old gods it's a beauty. This review is purely a first impression review, and I can say that impressions are good. The books are fantastic, well bound and presented. The slip case looks stunning and will sit nicely on the shelf, slowly corrupting the other RPG books around it. The additional material from the keeper screen looks really good and I can't wait to give it all a proper read. System wise, I cannot comment on the updates from previous instalments. But in comparison to other games we play, the mechanics of this game work really well. The tension of the adventures is well captured and so far, each session has built up into some hanging on to the dice really tightly moments. This product is amazing and each of the books is of a quality I've not come across in a long while. Chaosium has done a brilliant job and I can't wait to get other books to join these ones. Oh and the addition of the free PDFs is really welcomed. The books, slip screen, and keeper screen are fantastic, and the set comes with a few really cool goodies like scenarios to run. The screen is the main attraction here though, it contains a gamut of useful information, there isn't a single thing on that screen that isn't 100% necessary to running the game. The only reason this didn't get a 5 star review is that some of the materials that it came with such as maps and sheets were somewhat low quality, specifically the map for Amidst the Ancient Trees, which seems to be a printed out screen shot of a page in the book. Other than my small grips, this is a fantastic buy. Call of Cthulhu 7th edition! What to say? I was hesitant at first when I heard of a new edition. The old incarnation of the game was fantastic, so I often wondered how it was going to change, and usually thought the worst. But 7th edition blew me away. The improvements have changed just enough to freshen up the game while still keeping the system we know and love intact. The changes are smart and posses quality mechanics, not gimmicks. Some changes are purely common sense (attributes as percents, half and fifths skill checks) and some are true game changers that are really brilliant (pushing skills, bonus/penalty die, and luck). Now the big seller are the books themselves. They are beyond gorgeous. Quality covers and bindings, which I was pleased about. The paper is high grade as well. But everything, and I mean everything, is in color and has amazing artwork. The slipcase set is worth every penny and I am seriously contemplating on getting another set to keep pristine! Chaosium hit the ball out of the park on this one.